Finding free clip art is one of the most basic routine for a web designer when it comes to using image as representation, with many websites now providing free clip art images, we as graphic creators love exploring the possible options. I remember my first time when I heard this clip art term, it was back in 2000’s in microsoft word and with powerpoint we used some graphics to explain ourself better by these little genius arts. So, Today we have collected 20+ best websites which contains tons of free clip art s in their database, I am sure graphic designers will love this post..
Best free cliparts and web graphics. Free clipart and animation graphics library -over 13,748 for non-commercial use. Psd-Templates gives you free buttons for download as psd files with layers or browse the gallery and here you can save your button as jpeg. All buttons come with layers as psd files and can be altered with Adobe Photoshop of any version. Free ,Unique Web tools and web art for personal use and non-profit sites (in transparent GIFs format). Great site which can link you to other quality graphic sites and hard-to-find graphic. Free clip art site which will give you variety of clipart and graphic of different categories. here you will get high quality Vector and Web-Ready clipart for FREE. also the links to quality clipart sites. PresenterMedia – 3D ClipArt, Backgrounds and Online Tools Enhance your email, web pages, and PowerPoint™ presentations you can find here all our free clipart, backgrounds and best web designs samples which you need for your work . Here you can find a selection of Original & professional buttons set which can be perfect for any website design project and an excellent toolbar generator. Offers great collections of free buttons in which you will find various themes such as animal skins, stone and some rollover effects that will be useful for your site. Offers good selection of different static and animated clipart . Some free clipart, backgrounds, lines, mouse over buttons etc. for personal, non-profit use. and also the new larger clipart for printing and scrapbooks. Useful site that helps you create good looking logos, banners and buttons. You just have to type your text, and specify the styles and fonts you want and the site will generates the graphics for you. Here you can find hundreds of varieties of free backgrounds , textures and Professional looking web designs according to color and pattern for your site. You will get Free images according to your selected section included clip art, background, bars best for non commercial use. Web’s definitive resource for free backgrounds with lots of categories include. you can select any and start browsing . Best option you will get is mail subscription to get a new background every day. Here you will get thousands of free clip arts , icons, interfaces and other cool free graphics. The Icon Archive. It has collection of icon sets of over 10,000 high quality icons in gif & ico format. 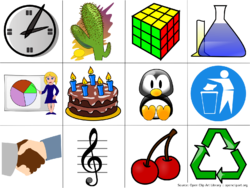 you can view the icons or download the original packages of icon sets for PC (zip) or MAC (sit/hqx) provided by the authors with all original readme files. Pay attention to the readme files before using the icons!